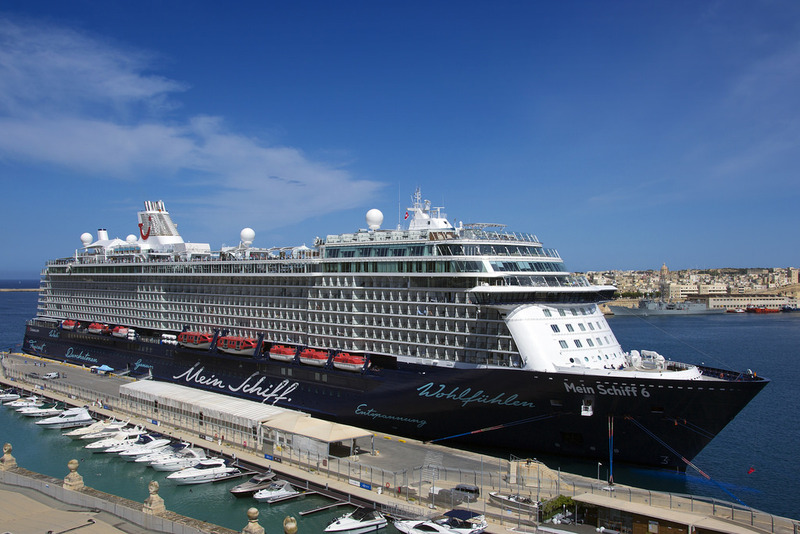 The Mein Schiff 6 departs from the port of Valletta at 22:00 hrs. This day shall be spent cruising to explore the numerous amenities and activities offered on board. In the morning we have a scenic drive though the most southern part of Croatia flanked on one side by the sea and on the other side by the border to Bosnia-Hercegovina. We have a short photo-stop high above Dubrovnik where we have a birds-eye view of this wonderful city. We continue inland to the fertile Konavle Valley and have a look at the Old Mill next to the cascading waters of the Ljuta River. From there we proceed to the enchanting seaside resort of Cavtat, once a prosperous Greek and Roman colony. It is now more relaxed and quite charming making it a preferred destination for the area’s many yachtsmen. You can almost feel time slow down as you wander the seaside promenade and quiet streets on your own. Enjoy a coffee in one of the splendid seaside bars, take a photo of the pretty bay or do some souvenir shopping. A picturesque drive along the coastal road takes us back to the port of Dubrovnik in time for lunch on the ship. After lunch we have a short 15-minute drive from the port of Dubrovnik to the Old Town where we have a 1-hour guided tour of the city, a city of unique beauty and harmony, spread out on the stone rocks and cliffs descending into the embrace of the sea and the waves. The main street is known as the Stradun and many of the city’s attractions are right here, including several monasteries, and the elegant 16th century Venetian Gothic Sponza Palace, once the city’s Custom House and notable for its fine courtyard columns and elaborate stone carvings. Dubrovnik’s famed symbol of freedom, a carved figure of an armoured knight, adorns the Orlando Column in a nearby square. After the walking tour you can either have free time for souvenir shopping or take the boat to Lokrum Island (boat and entr. fee to the island not incl ca. €20). Today the island is a Special Reserve of Forest Vegetation under the strict protection of UNESCO. You can wander around the island (no cars are on this island) discover the monastery complex, Charlotte’s Well or the Gardens of Maximillian, chose to have a coffee at the open-air cafeteria or just go for a refreshing swim on the rocky beaches. Our bus will return from Dubrovnik to the ship at 18.00 hrs. Departing from the port of Bari we discover that in Italy’s most southeastern region, there lies a most astounding valley. To get there, we drive through golden fields of grain and past gently undulating hills. And then you come to the Murge Valley. All of a sudden a vibrant green washes across the landscape, thanks to small groves of an oversized oak tree that grows only here. You will also see tropical vegetation - palm trees and Bougainville’s and gigantic hibiscus - as well as larger and healthier olive groves. And interspersed among all this verdant beauty, you will see the strange conical houses that exist only here. At first they appear one by one, like solitary mirages cowering amidst the olive trees. Gradually, as you drive on, they grow taller, and their whitewashed bases make them more visible. Soon you are spotting them in clusters of up to a dozen all attached to each other to make one larger dwelling. And then you drive into the little town of Alberobello, where they cover four entire hillsides, seeming for the entire world like a cheerful white nativity scene recreated to true human dimensions. If this were California, Mr. Disney’s name would be visible on a neon sign. But it’s Apulia, and these houses were first built many centuries ago by the local inhabitants and were declared a world heritage site by UNESCO in 1996. (Attention: This excursion includes a rather strenuous 20 minute walk from the bus parking area to the centre of the Trulli). Situated in a small island squeezed in between the mainland and the larger island of Ciovo, Trogir is connected to the mainland with a bridge. Except for the green parks the entire island is occupied by spectacular constructions: bleached stone houses, palaces, churches, monasteries, towers, walls etc. The streets are narrow and they truly give a feel of how life might have been in the old days. You will see from the outside the main attraction in Trogir – the Cathedral of St. Lawrence. This 13th century building is probably the finest example of sacral architecture in Croatia. The unusual construction with three naves and three semicircular apses dominates the whole town. Other fine buildings that will be viewed are the Town Loggia decorated with stone carvings, including one by great Croatian sculptor Ivan Mestrovic, the Town Hall, the Cipiko Palace etc. Continue with the drive back to Split. The Old Town of Split is built on and around the spectacular Roman Palace erected in the 4th century. During your walking tour you will see the Diocletian Palace and the very interesting Cathedral of St. Duje (patron saint of the city). The Cathedral is built on the remains of an ancient shrine and is supposed to be the oldest in the world. On your tour you will also see the Golden Gate, the Silver Gate and the Peristyle Square. After the walking tour you may spend some free time in the biggest city of Dalmatia and return on your own to the ship. Enjoy the facilities onboard and relax as your ship sails to your next port. We depart early from Koper to visit Ljubljana, the capital city of Slovenia and one of the most charming cities in all of Europe, filled with museums, theatres, historic sites and many other attractions. During the1.5 hour bus drive to reach the city, you can marvel at the beautiful countryside of Slovenia. After reaching the capital we will spend some 2.5 hours in the historic centre. Ljubljana’s Old Town is filled with churches and buildings dating all the way back to medieval times. The old world charm continues at Ljubljana Castle, whose tower (entrance fee not included) provides a magnificent view of the city. At the city centre lays Prešeren Square, which features the famous statue of Slovene national poet France Prešeren. Right off of the square is Cop Street, one of the main shopping streets in the city. The guide will walk with you to the Square of the Republic and will show you the Roman ruins which are a must. We continue our walk to the turn of the century Dragon Bridge and from there to Metelkova a place full of bars and nightlife. We return to Koper in the early afternoon. Disembarkation and flights to Malta. Important Note The official language on board TUI Cruises Mein Schiff 6 is German as the vast majority of guests on board will be German nationals. All entertainment and announcements will be in German and there will be no official translation into English. Our English speaking representative on board will be there to assist you. Some menus are available in English on demand. 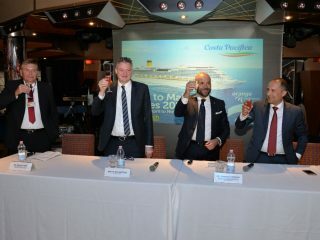 Almost all the crew on-board, who originate from over 50 countries, speak English. Our shore sightseeing excursions and the safety drill will be in English. Your daily programme will be translated into English by our representative.